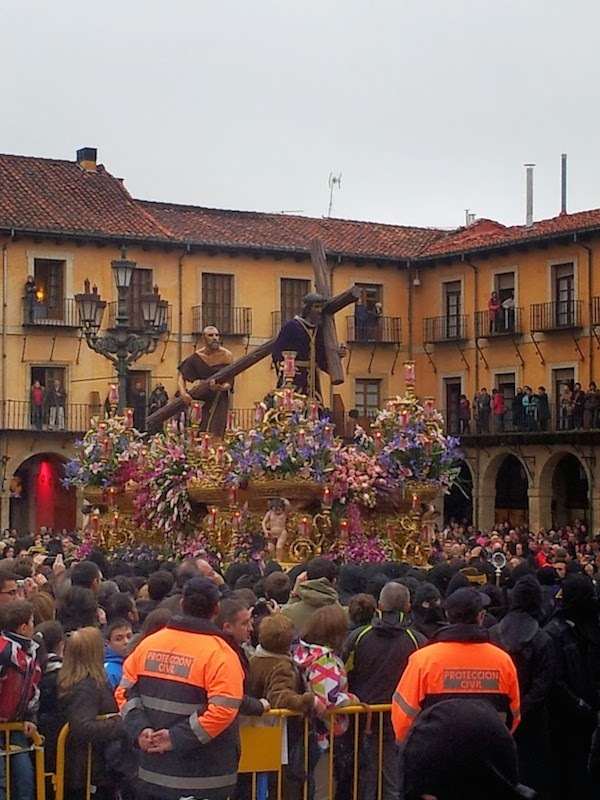 Easter holidays are around the corner and Spain is especially renowned for its Holy Week traditions or Semana Santa. 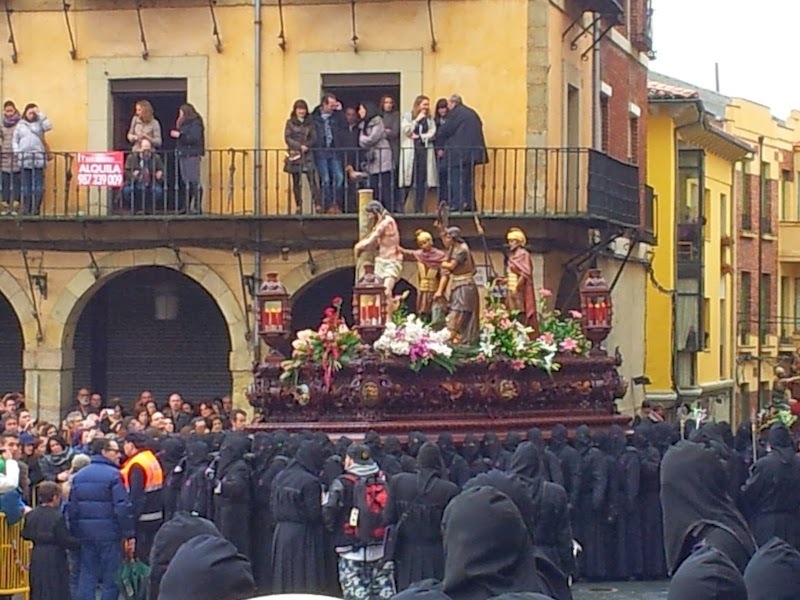 The celebration of Holy Week regarding popular piety relays almost exclusively in the processions of the brotherhoods or fraternities. These associations have their origins in the Middle Age, but a number of them were created during the Baroque Period, inspired by the Counterreformation and also during the 20th and 21st centuries. The membership is usually open to any Catholic person and family tradition is an important element to become a member or “brother” (hermano). 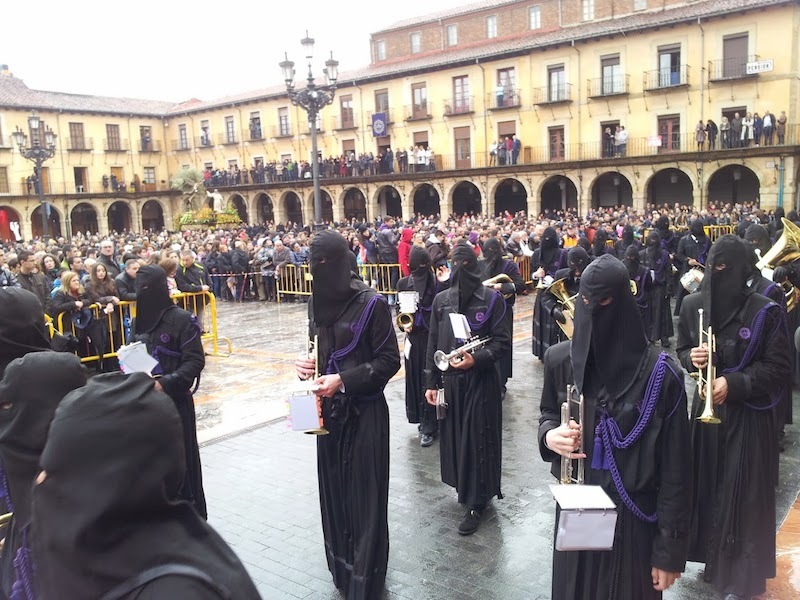 Holy Week processions in León, in northern Spain, are also very popular, with more than 15,000 penitents (called papones, in Leonese language) on the streets. 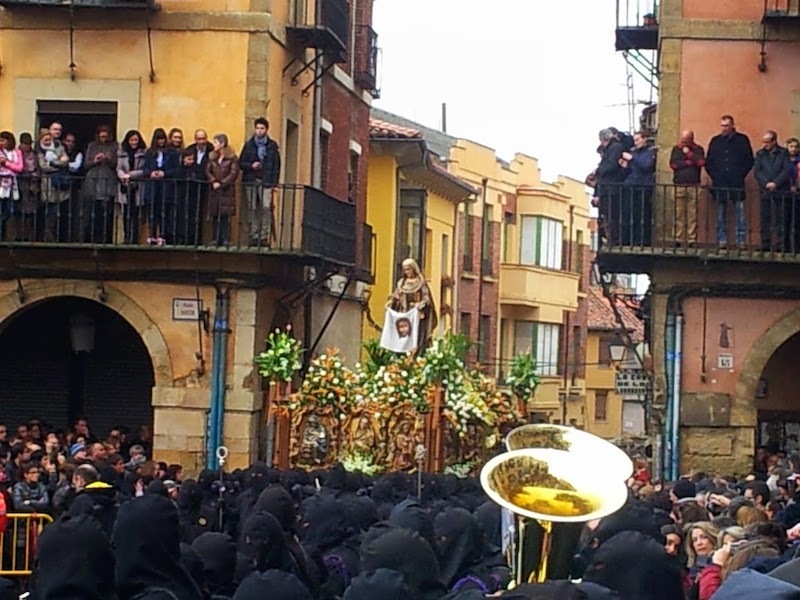 Processions begin on “Viernes de Dolores” (the Friday in the week before Holy Week) and last until Easter Sunday. 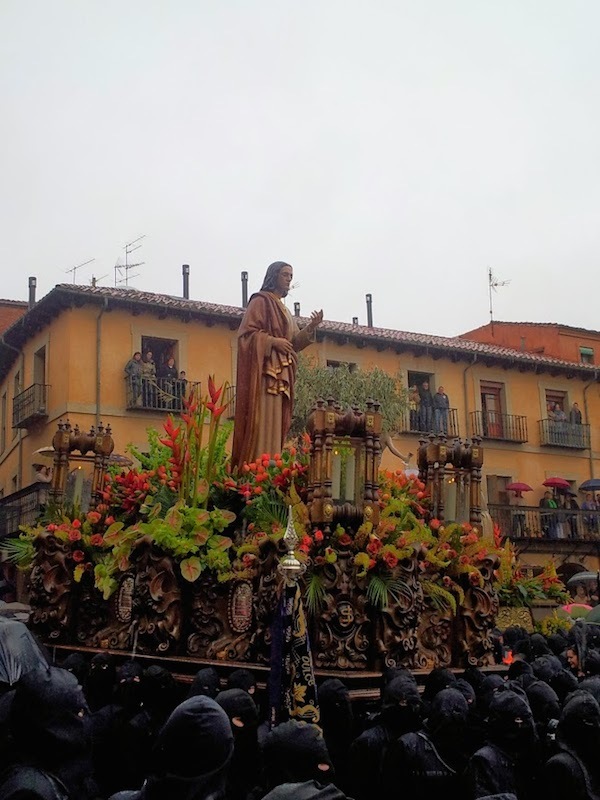 The most solemn and famous procession is the “Procesion de los Pasos”, also known as the “Procesion del Encuentro” (Procession of the Meeting). 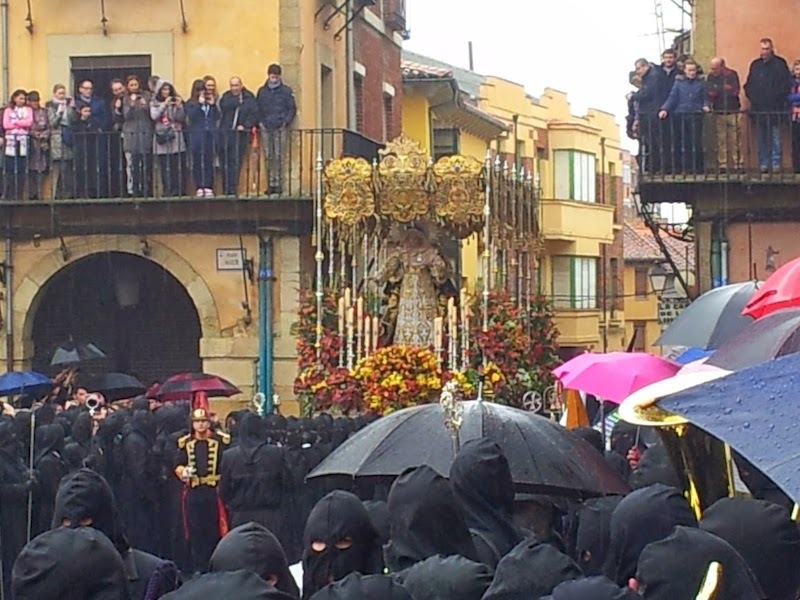 During this nine-hour marathon procession, about 4,000 penitents carry 13 “pasos” around all the city. These can reach more than 2.500 Kg. loaded among 80 to 100 “papones”. 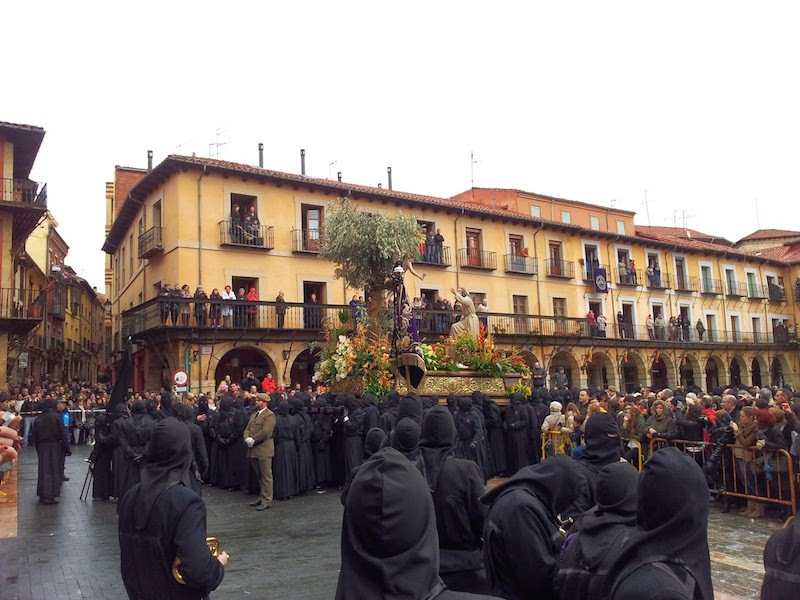 The most solemn moment is El Encuentro (The Meeting) when the “pasos” representing Saint John and La Dolorosa face one to the other and are “bailados” (penitents move the paso as if Saint John and La Dolorosa were dancing) in front of the “paso” representing Jesus loading the cross. Then St. John go in his knees (half of the pap ones go in their knees bearing the biggest part of the load) to reverence the Virgin. Afterwards the 13 pasos start “dancing” inside the Mayor Square of León. It finishes when the papones loading these two “pasos” shake their hands. You can see the video here. 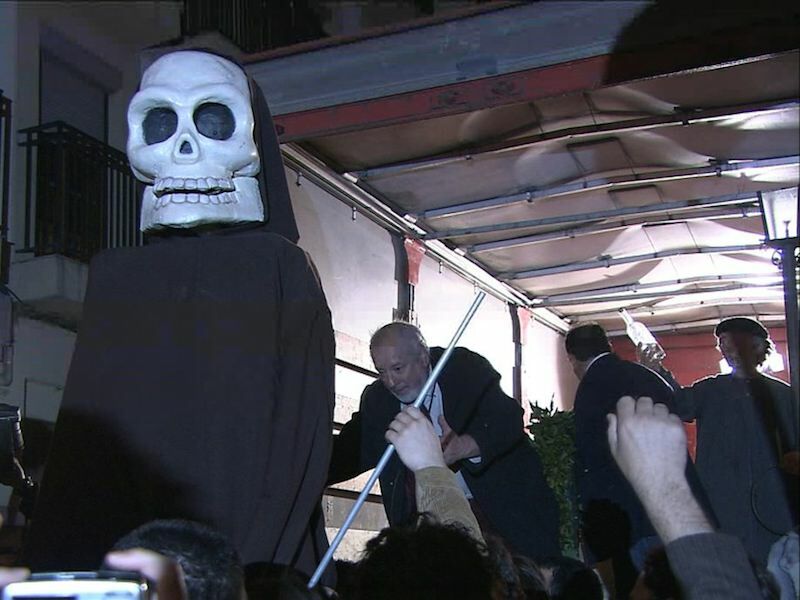 Also famous is a secular procession, called Entierro de San Genarín, the “Burial of Saint Genarín”. In 1929 on Holy Thursday night, a poor alcoholic called Genaro Blanco was run over by the first rubbish truck in León. 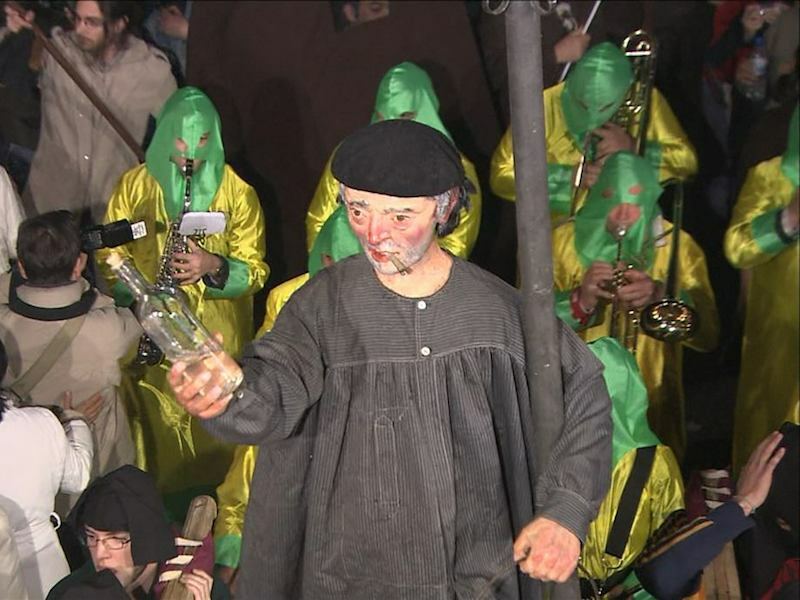 The procession consists of a march through the city bearing Orujo at the head of the procession; at the spot by the face of the city roman walls where the man was run over a bottle of Orujo and two oranges are left up there in commemoration. Take a look to the video here. If you want to know a little bit more about León and its province (area with most biosphere reserves in the world) please click on this link. Traveling to the north of Spain assures you very different spanish holidays! !